Want to explore the best beaches in Spain? 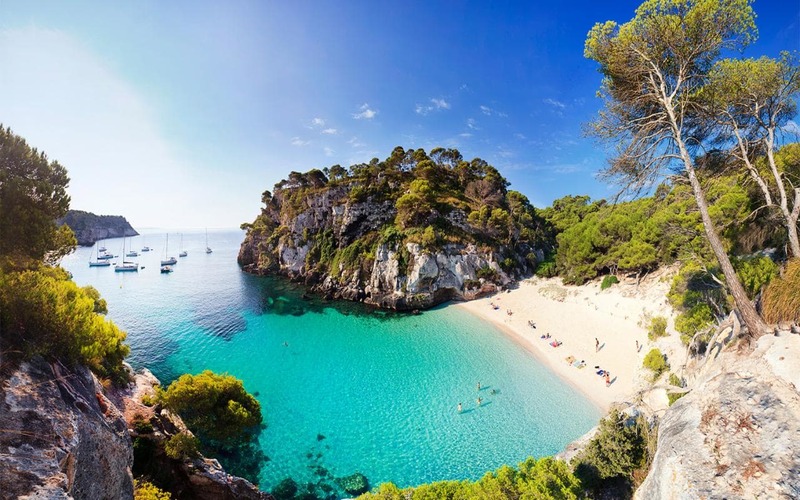 Then head towards this section to amaze your eyes with some of the stunning Spanish beaches. When it comes to Europe, a basket full of spectacular islands will brim the list in Spain. Between the Balearic Islands and the Canary Islands, the most popular Spanish archipelago is evenly divided. All have unique features with their hot, clear water and refreshing beaches. There is something for every passenger on the islands of Spain right from the glamour and glitz of Ibiza to the windswept volcanoes of Tenerife. The city is enwrapped in the picturesque shades of green and blue. There are some amazing sights and drop-dead gorgeous experiences immersed in Spain’s extraordinary culture. The enthralling sightseeing, activities including hiking, mountain biking, surfing, diving, and more will make you force towards this place. Let’s experience the best islands in Spain. Ibiza is one of the most popular Spanish islands famous for its nightclubs, parties, and beaches. After 7 hrs the spotlight turns into laughter, and the center of EDM and the party lasts till morning. It’s acknowledged as one of the most amazing Spanish beaches. During the day, you can enjoy some wonderful Spanish cuisine at many restaurants and shop for Spanish handicrafts in their carnival style market. Remember! 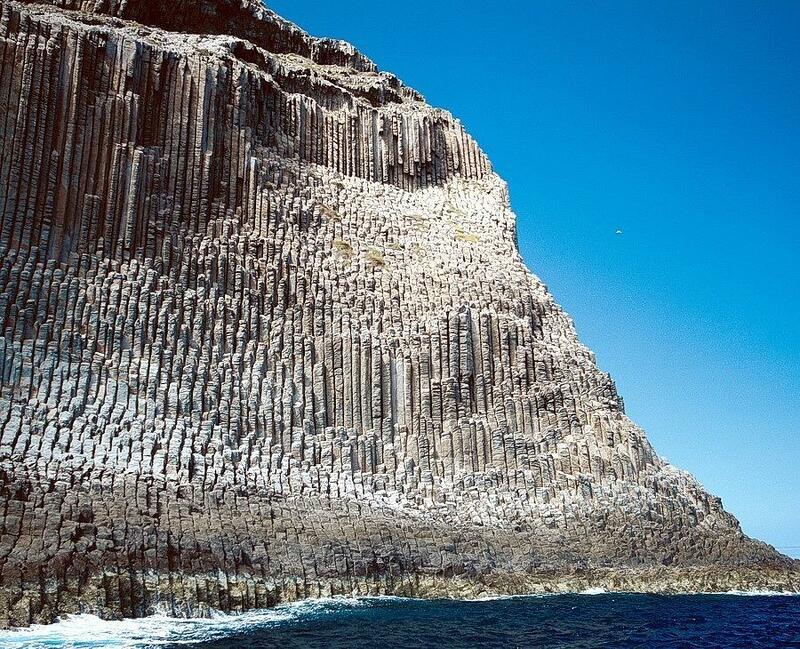 To visit Cova de Can Marca, a huge natural cave a boat ride away, on your Spanish holiday island. Best Time To Visit: The best time to visit Ibiza depends on your travel plans and friends. From the end of May to the end of October, summer months are about fun parties, windsurfing, flyboarding, slingshots and more. If you are a food lover, then target for April-October when most restaurants open their doors. Nearby Attractions: Passeig De Ses Fonts, Es Vedra, Atlantis, Las Salinas. Majorca is amongst the largest islands in Spain, also called, Mallorca, in full bloom promotes beach tourism and boasts breathtaking views of the northern part of the island. It’s one of the stunning Spanish beaches. In addition to settling on a beach or have pleasure time doing sunbathe, one can relax at various resorts, enjoy biking alongside beautiful trails on the rocks, or play golf. To enjoy the greatness and warmness in Spain, trip around the Jazz festival on the Spanish island. Best Time To Visit: The best time to go to Majorca is in the summer months from June to September. Nearby Attractions: Palma de Mallorca, Alcudia’s Old Town, Puerto Portals, Llucmajor Beaches, Pollença. Menorca or Minorca, your way to call it, is the most photogenic Spanish island in the Mediterranean region known for a serene and sheltered ambiance. It’s one of the top exotic Spanish beaches. To hit the island of Menorca, is a great idea, for one who feels Majorca, pretty much crowded for a Spanish holiday. Menorca excites with unlimited scenes and prehistoric monuments associated with 1300 BC, irrespective of the fact, Menorca, less developed than other Spanish islands. Nearby Attractions: Cala Galdana, Ciutadella Old Town, Museum of Menorca, Santa Maria Cathedral, Cala Turqueta Beach. Welcoming travelers from all over the world with open arms, it is one of the outermost Spanish islands outside Africa. The most adventurous form of greenery overshadows the hard reef, where powerful winds give a strong punch of blow to fortuneless junior trees! The towering, eloquent landscapes and panoramic beauty, is one of the best Spanish virgin islands for your visit. Nearby Attractions: Mirador de la Pena, El Sabinar, Playa de Tacoron, Ecomuseo de Guinea. La Gomera is one of the smallest Spanish islands from which Christopher Columbus began his journey to discover. From Tenerife, the island is just a boat ride far and is a good place for those who also enjoy hiking, trekking or even easy walking stints. Sailing of an excellent climate throughout the year, La Gomera has an immense variety of unique plants, beautiful greenery sailing, cliffs, and jerky waterfalls. And the best part – this informal island is unprovided of the annoying tourist crowd. Nearby Attractions: Garajonay National Park, Roques Pedro y Petra, Valle Gran Rey, La Laguna Grande, Gomera Cycling, Bosque del Cedro. Lanzarote is well-known for its absolute volcanic landscape, which outshines with a quarter of the island from the last volcanic eruption. This chunk of the island is Timanfaya National Park, which in turn has a bar and restaurant where the food is prepared using the heat release from the active volcano! Shocking to know! Travelers can visit the Whales and Dolphins Museum and Mirador del Rio Lookout Point in addition to finding volcanic scenarios and enjoying the volcanic cuisine, for a fantastic view of this Spanish holiday island. Best Time To Visit: The ideal time to visit Lanzarote is in spring or autumn. Nearby Attractions: Playa de Papagayo, Cueva de Los Verdes, Timanfaya National Park, Playa Blanca, The Cactus Garden. 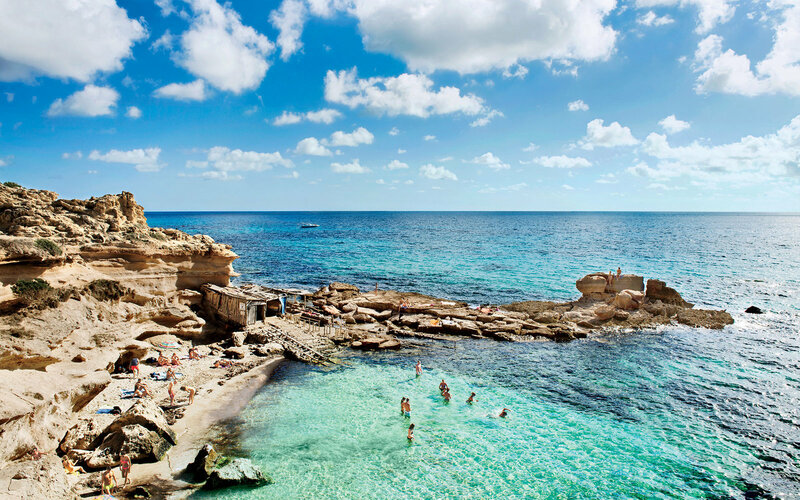 While lying in the south of Ibiza, Formentera is a miniature island that is popular for its naked sunbathing on its white beaches. It is also just a boat ride from Ibiza and can get access to regular passenger service from mainland Spain to get here. It is one of the favorite places in Spain and nature lovers would love to allure the beauty of Spain especially in the months of July and August. Do not forget visiting La Mola, a picturesque rock with a lighthouse. Best Time To Visit: January and March until December. Nearby Attractions: Playa de Ses Illetes, Es Cap de Barbaria Lighthouse, La Mola Lighthouse, S’Espalmador. 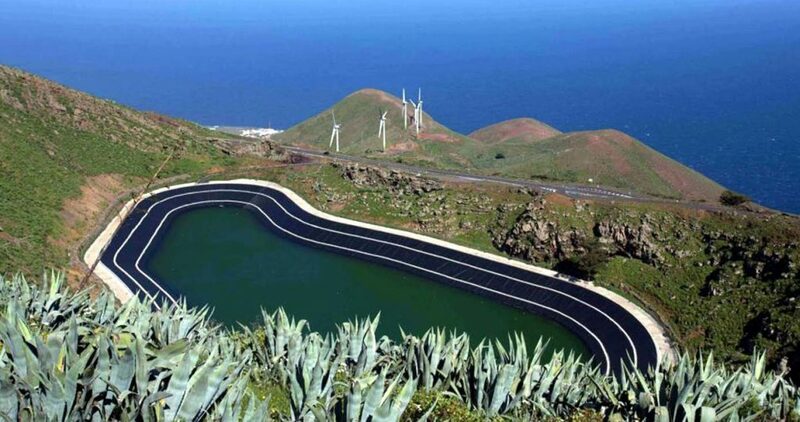 La Palma, or ‘Beautiful Island’, is one of the best Spanish islands to explore. An international airport is here with regular ferryboat service from Tenerife. 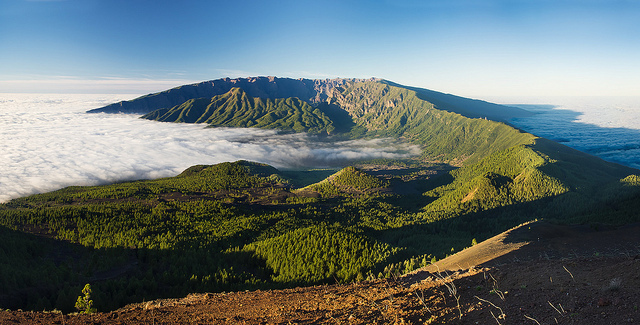 Great for walking tours and hiking, La Palma has mind-boggling landscape views, the amazing volcanic glimpse, the beautiful forests and the world’s biggest craters find themselves in La Palma’s center. Although one can put their foot forward for a solo walkabout to the crater, a guided tour with proper guidance is always suggested. Nearby Attractions: Caldera de Taburiente National Park, Roque de Los Muchachos, TeneguíaAstronomical Observatory. 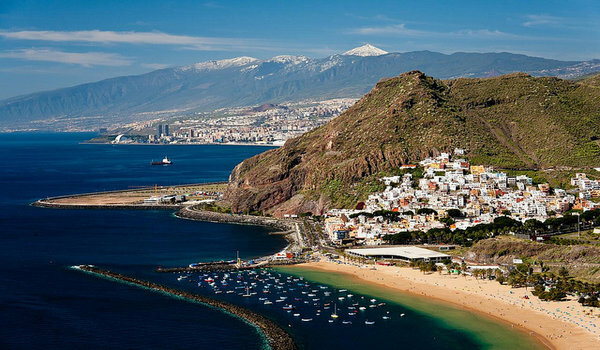 Gran Canaria is one of Spain’s largest cities and is a full-fledged beach holiday destination for honeymooning, adventure seekers, as well as families with children. Various categorization of landscapes, puzzling sand dunes, mountain biking trails, stunning beaches, and densely populated sea world have an eye-catching experience in the Mediterranean region of Spanish island. The favorite place for all adventure zealots, the island is a bucket full of excellent diving spots, golf arena, surfing school, and is also organized with guided hiking tours to roughly finished cave villages in the island. Nearby Attractions: Playa de Las Canteras, Roque Nublo, Palmitos Park. Tenerife beach is a famous destination for the beach vacation when you talk of the best Spanish holiday island and the largest of the Canary Islands. Exclusive of the fancy and gaudy nightlife and remarkable diving sites, the island is filled with extreme opportunities for water sports like surfing, parascending, and jet-skiing. Mountain lovers can amaze themselves with hiking tours, beautiful drives alongside cliffs and cable car ride to the peak of Spain’s highest. Best Time To Visit: May, June, and July are good months to travel. 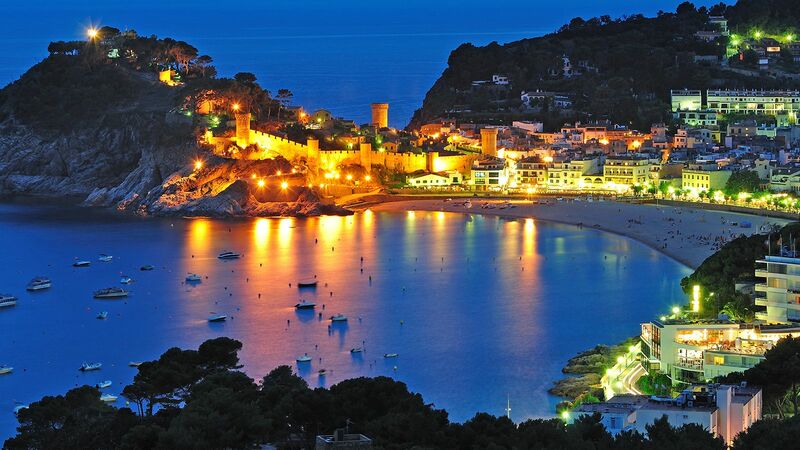 Costa Brava is brimmed with the beauty of golden sand edged with pines and coral pink rocks. It is away from the loud area of Spanish resorts there is a clear outstretched coastline between Palamos in the north of Barcelona, and Cadaqués near the French border have the clearest of Mediterranean waters. There lies a famous horseshoe bay at Tamariu, equipped with fish restaurants yards from the marine area. It definitely credits to be one of the best Spanish beaches. Best Time To Visit: Summer having a temperature of 30°C in July and August. Nearby Attractions: Jardines de Santa Clotilde, Loro Parque. Next article17 Stunning monsoon destinations in India that will pour you with amazement!